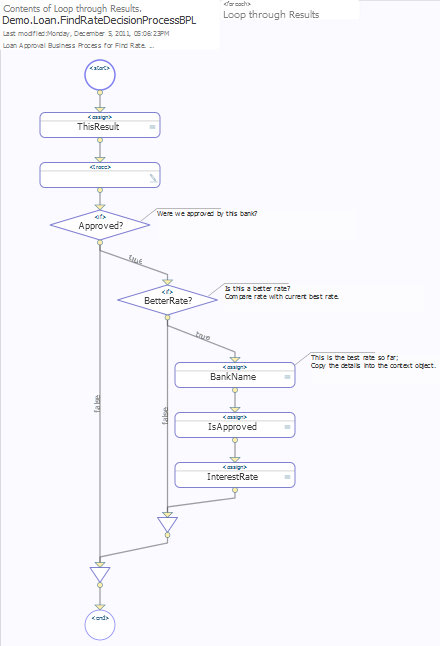 To view a similar diagram, click Open on the Business Process Designer page and navigate to the Demo.ZenService.Bproc.WeatherReport BPL business process class in the ENSDEMO namespace using the Finder Dialog. 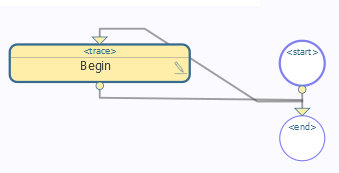 The class opens to the BPL diagram view. 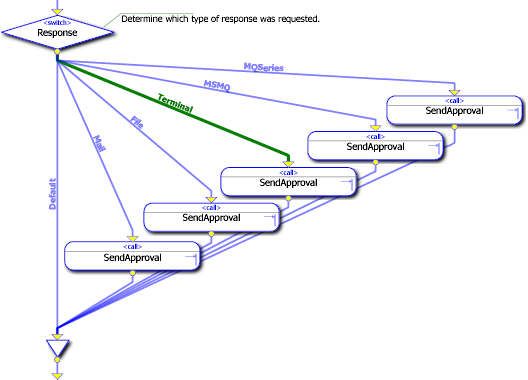 Automatically validate activities as you add them to the diagram. 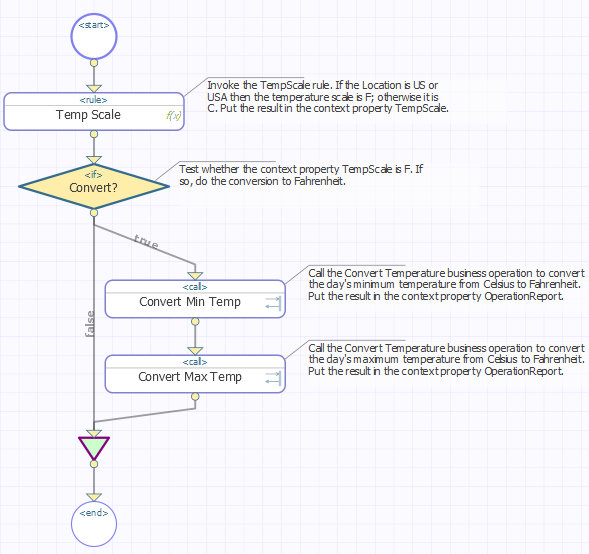 If Ensemble detects an element with a logical error, it displays a red warning on the Activity tab for the element along with the reason for the error. Language  Select either ObjectScript or Basic for the language of all code included in the BPL. 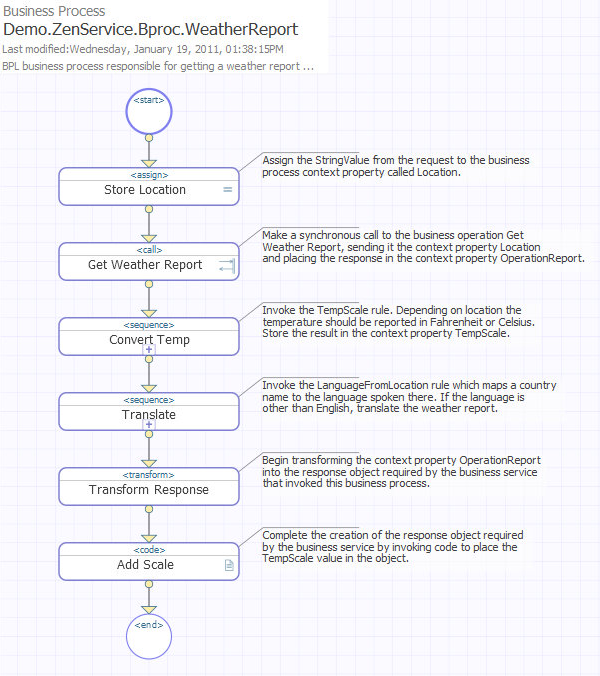 See the <process> entry in the Ensemble Business Process Language Reference for details on these properties. Typically you choose the property type from the system library of data types described in Data Types in Using Caché Objects. These include %String, %Integer, %Boolean, etc. System data types have optional parameters. For details, see the Parameters section in the chapter Data Types in Using Caché Objects. These include the MINLEN and MAXLEN parameters that set the minimum and maximum allowed lengths of a %String property. The default maximum %String length is 50 characters; you can reset this by setting the MAXLEN for that %String property to another value. 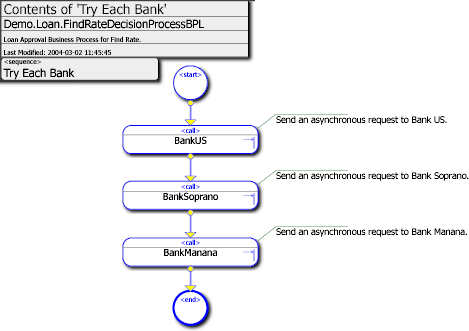 You can export a BPL diagram to an XML file which can later be imported back into another Ensemble installation. The rules for doing this are the same as for importing or exporting any other Ensemble class to a file: In Studio, use the Tools Export and Tools Import commands. 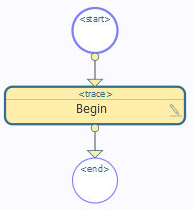 In BPL code, insert <property> elements inside the <context> element, one for each property, as described in the Ensemble Business Process Language Reference.